STEAM is a curriculum, based on the idea of educating students in five specific disciplines — science, technology, engineering, art, and mathematics — in an interdisciplinary and applied approach. 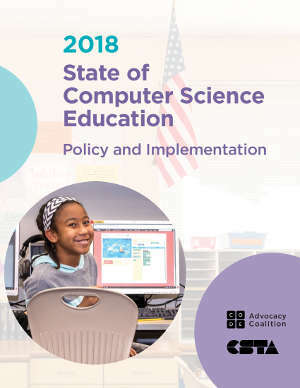 Building our future tech workforce is already an issue for all industries, and programmatic approaches to introduce these specific disciplines in a fun, collaborative open learning model after-school, or in classroom has risen as a national priority for all tech professionals. TALK, and other tech councils across America, have a commitment to encouraging and participating in the development of additional curriculum in our cities across our state. Through partnership with private industry, government officials , educators, and a variety of funding sources, including grants, corporate sponsorship, donations, and fee-based approaches, STEAM curriculum continues to develop in our markets. *Rad Science Skateboard Build—Geared at Middle and High School age students, this programmatic approach allows for a deep-dive three-day event that teaches students foundational skills and produces an exciting result: a working skateboard for use. The next event will be in the Fall 2018–Design, Build & Shape Your Own Skateboard. To reserve your seat, call Marwood at 812-288-8344. Pricing varies. Date to be announced. 8AM to 1 PM each day with an optional 3rd day for art decorations and custom graphics. The June 6 and 7th, 2018 is now complete and photos can be found on social media. * Cyber Camps for Middle and High School Students in partnership with UPS, JCPS,NICE,and NICERC. This program uses boe-bots to train students how to code and made a robot move and do activities. We successfully completed 4 camps in West Louisville under grant funding in the Summer of 2017. We are already planning for the summer of 2019 with JCPS. For more information, please contact Executive Director Dawn Marie Yankeelov (dawny@talklou.com or dawny@aspectx.com), or STEAM Curriculum Chair Jim Martin (jim@marwoodveneer.com). 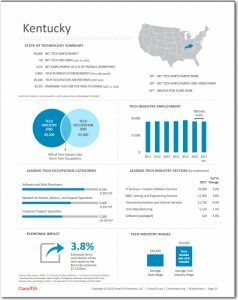 TALK stands for the Technology Association of Louisville Kentucky, our local technology council which focuses on economic development, workforce development, networking, education, advocacy, and talent identification. TALK, a 501C3, is one of more than 50 tech councils in the US and Canada that are members of TECNA (Technology Councils of America).